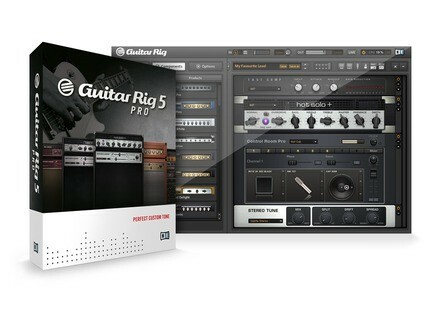 Guitar Rig 5 Pro, Software Amp Simulator from Native Instruments in the Guitar Rig series. Native Instruments announced Guitar Rig 5 Pro, the next generation of its effects studio. The new version expands the feature set of the software with additional amplifiers and effects, advanced speaker emulation, and various new creative features. The product introduces the new "Van51" and "HotSolo+" models, for intense solos and heavy riffs. The collection of effects is expanded with six new components – including an additional classic compressor model, the "vintage verb" with various plate and spring emulations, a convolution reverb based on the Reflektor, an analog-modeled 8-band filterbank, the new "stereo tune" chorus, and the "Resochord" harmonizer. Guitar Rig 5 also introduces its new convolution-based "Control Room Pro" module. From a collection of 27 cabinets and 16 microphones, up to eight cabinets can be combined at a time, each with individual mic placement and room sound controls. The new sidechaining function in Guitar Rig 5 is designed for dynamic processing, and complements the new range of Guitar Rig-based studio processors such as Vintage Compressors and Solid Mix Series. The sidechain can be assigned to any stereo input of the software, and can be utilized for all compressor modules in Guitar Rig 5 as well as in several of the Modifier modules. The performance features of Guitar Rig 5 use the new "Container", which allows users to create, control and recall encapsulated effect chains, with up to sixteen macro controls. 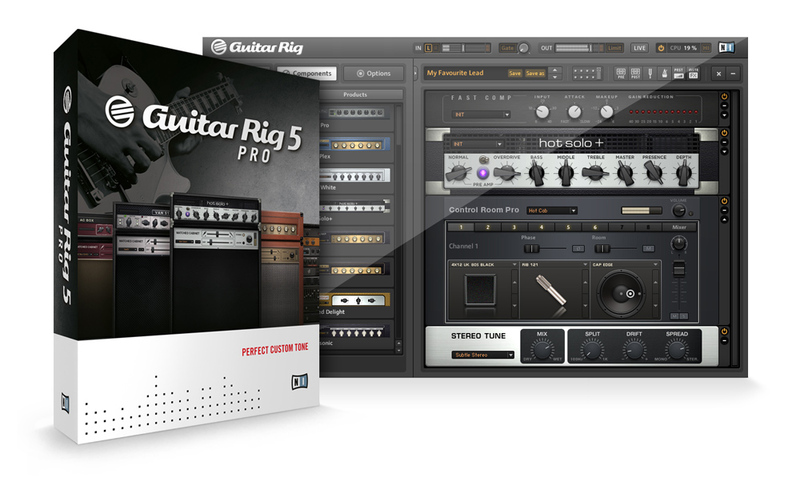 Guitar Rig 5 Pro will be available in September 2011 for a $199 / 179 EUR, and will also be included in the new Komplete 8 and Komplete 8 Ultimate bundles. The software will also be available in combination with the Rig Kontrol pedalboard controller as Guitar Rig 5 Kontrol for a suggested retail price of $449 / 399 EUR. A software update for owners of previous Guitar Rig versions will be available for $79 / 69 EUR. Steinberg Nuendo 5.5 Steinberg released its maintenance update version 5.5 for Nuendo, with workflow features highlighted in Steinberg’s Cubase 6 advanced music production system. Native Instruments Kontakt 5 Native Instruments announced Kontakt 5, the next generation of its software sampler.